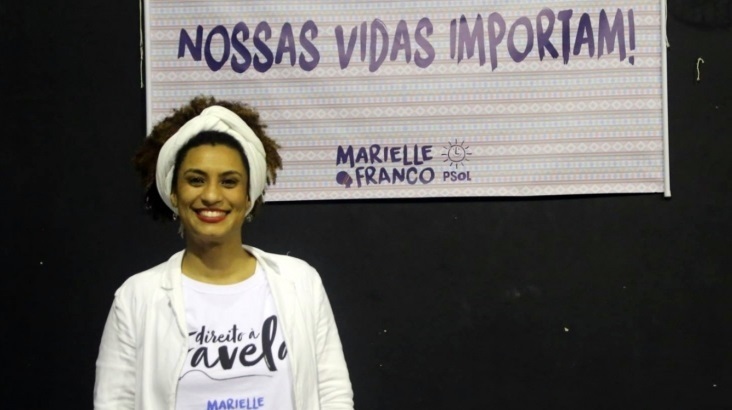 On 14 March, Marielle Franco, a veteran member of PSOL in Rio de Janeiro, was barbarically executed in the city centre. Anderson Pedro Gomes, the driver of her car, was also killed in the attack. 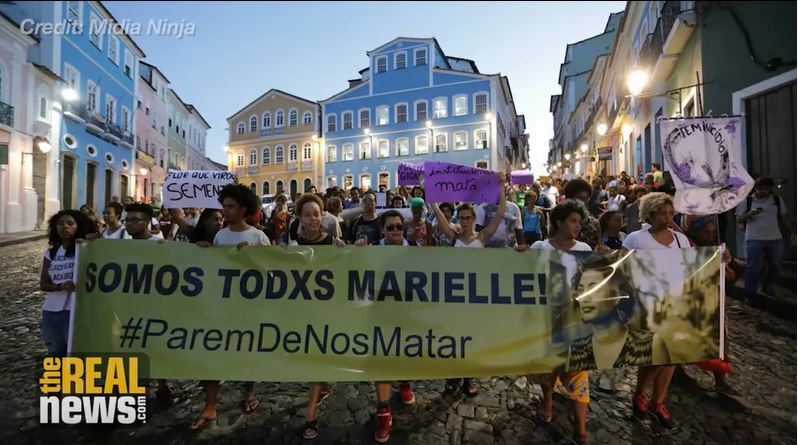 Police investigation identified 9 gun shots in the back window of the car, showing that the murderers targeted Marielle, and knew where in the car she was sitting despite the blacked-out windows of the car. Marielle was 39 years old and has a 18 year-old daughter. A black, lesbian women, she lived in the Favela of Mare, in Rio, where she worked in defence of black women and human rights. She was a long-time militant activist for just causes in the interests of the poor in the city. The news from Beijing is historic – nothing less than a political earthquake with repercussions around the world. At its upcoming “parliamentary session” (the National People’s Congress, NPC, which starts next week), China will remove the two-term limit for the presidency and vice presidency. This confirms what was widely expected; that Xi Jinping plans to extend his rule after his current second term finishes in 2023. 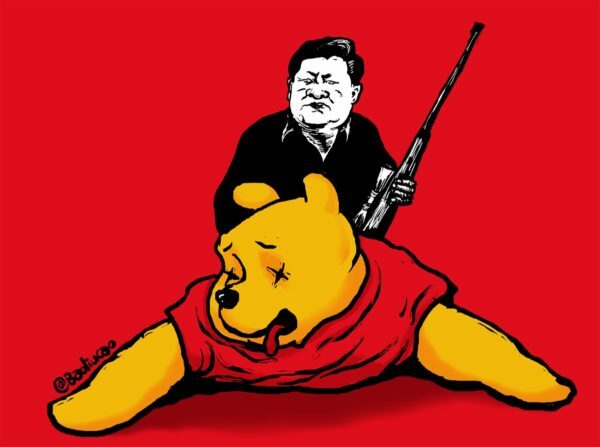 Xi has cemented his grip over the Chinese regime through a ruthless power struggle and anti-corruption purge, forcing factional opponents and recalcitrant regions to “bend the knee”. This was further confirmed by his “coronation” at the so-called Communist Party’s (CCP) 19th Congress in October, at which Xi imposed his own choice of leaders, eliminating or demoting possible challengers, and inserted his “thought” into the constitution. Despite being widely expected, the latest move to allow Xi to indefinitely extend his reign as president (there is no limit on Xi’s other and actually more powerful position as CCP general secretary), has elicited shock and alarm from international commentators and Chinese dissidents alike. The largest rural movements in Brazil, representing well over a million farmers, are protesting a new Brazilian regulation that would allow release of gene drives, the controversial genetic extinction technology, into Brazil’s ecosystems and farms. 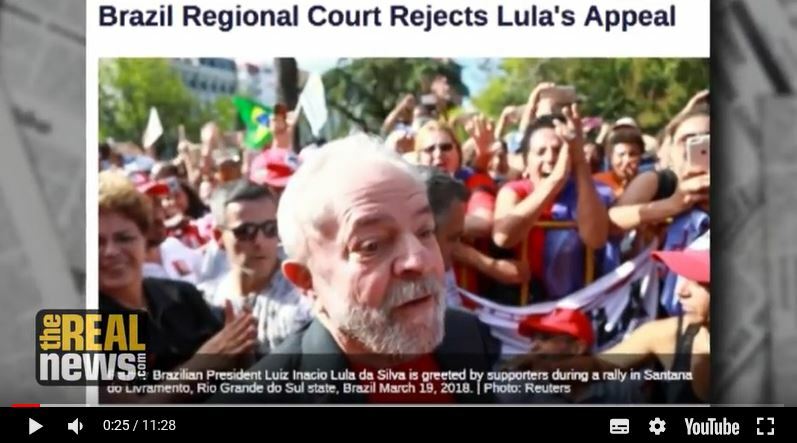 On February 3rd and 4th, the National Coalition of Farmworkers and Rural, Water and Forest Peoples met near São Paulo, Brazil and sounded the alarm about new Brazilian regulatory changes – a resolution passed on January 15th by Brazil’s National Technical Commission on Biosafety that would allow the release of gene drive organisms into the environment. The effect of this change is that Brazil becomes the first country in the world to establish a legal channel for the release of gene drives into the environment. The new rule could potentially make it even easier to release a living gene drive organism than a GMO seed. The largest rural movements in Brazil, representing well over a million farmers, are protesting a new Brazilian regulation that would allow release of gene drives, the controversial genetic extinction technology, into Brazil’s ecosystems and farms. On February 3rd and 4th, the National Coalition of Farmworkers and Rural, Water and Forest Peoples met near São Paulo, Brazil and sounded the alarm about new Brazilian regulatory changes – a resolution passed on January 15th by Brazil’s National Technical Commission on Biosafety that would allow the release of gene drive organisms into the environment. The effect of this change is that Brazil becomes the first country in the world to establish a legal channel for the release of gene drives into the environment. The new rule could potentially make it even easier to release a living gene drive organism than a GMO seed. Once again, a presidential election in Russia looms and for the fifth time since 2000 there is a simple choice; either Putin or one of the other candidates, none of whom has a chance of winning. The only exception to this was in 2008, when Medvedev stepped in to hold the presidential chair warm for four years before Putin could not stand for technical reasons. 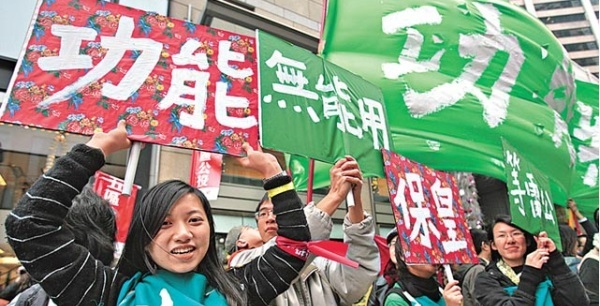 After the last election in 2012, protests against voter manipulation broke out. This time protests are taking place in advance. 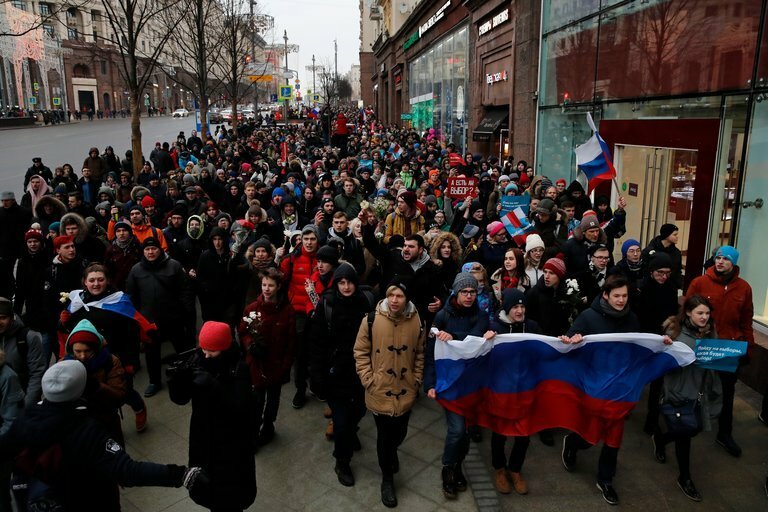 A few weeks ago saw another wave of youth protests sweep Russia, affecting over 100 cities – from the several thousand who turned out in Moscow’s balmy minus six to the thirty people who managed to brave Yakutsk’s minus 45! Police carried out widespread raids on dozens of offices of Alexei Navalnii, who called these protests in the days before Sunday. They stopped passengers at airports and stations and searched student hostels to confiscate any agitational leaflets. But on Sunday itself, “only” 300 protesters, including Navalnii himself, were detained by police. Undoubtedly, the regime is concerned that a crackdown before the election could provoke wider discontent. The Ministry of Defence, according to some soldiers, has been surveying the rank and file asking them who they think is the most popular pro-western politician, calling for a “coloured revolution”, and whether they would be “prepared to obey an order to use force against people calling for the forcible overthrow of the constitution in Russia”. A nine-minute video made by the New York Times may cost Tibetan language rights activist Tashi Wangchuk fifteen years in prison. He is the latest victim in an unprecedented crackdown in which hundreds of dissidents and rights advocates have been arrested, abducted, ‘disappeared’, tortured, forced to appear in televised ‘confessions’ and in many cases served with harsh prison sentences as a deterrent to others who would challenge Beijing’s policies. 32-year-old Tashi, a shopkeeper from the Tibetan prefecture of Yushu in Qinghai province, was arrested two months after featuring in the Times’ video documentary. He was held for two years in secret detention and then tried on 4 January this year for “inciting separatism”. The video film (see link below) was played at the four-hour trial and, according to Tashi Wangchuk’s defence counsel, was the main “evidence” against him. The court will pronounce sentence at a later date but it is feared he could be handed a fifteen-year prison sentence. China’s courts are under tight control by the regime and have a 99 percent conviction rate, 100 percent in the case of political trials like this one. International observers have condemned the detention and trial of Tashi Wangchuk, with Amnesty International calling it a “sham” based on “blatantly trumped-up charges”. Nine years ago, in the centre of Moscow, a lawyer, Stanislav Markelov, and journalist, Anastasia Baburova, were both murdered by fascist thugs. They had been known for their anti-fascist activities and Stanislav was an activist with the Russian ‘Youth against Racism in Europe’. Each year since, there has been an anti-fascist demonstration to mark their murders, with the slogan, “Never again”. The19th January march is never more relevant; everyday hate crimes continue in Russia against immigrants, Muslims, the LGBT community and increasingly the attacks come not just from far right radicals but from the state. Therefore Socialist Alternative (CWI Russia) takes part in the demonstration not just in memory of the two murdered anti-fascists, but also to openly speak out and organize against migrantophobia, islamophobia, homophobia and other hatreds. The clearest example of this today is the case of the journalist Ali Feruz (actual name Khudoberdi Nurmatov). The Russian courts took the decision to deport Ali to Uzbekistan, where he was born, and where he faces repression and possible torture for his refusal to cooperate with the authoritarian regime’s police. Working for the Russian paper, ‘Novaya gazeta’, Ali Feruz exposed the death of conscripts in the army and the slave-like conditions in which many immigrants in Russia are forced to work. Ali is a member of a journalists and media workers union. He is an immigrant and openly gay. While Ali’s supporters from the newspaper and his friends have been lobbying in support of Ali, it has been the public and international campaign that has, so far, prevented the Russian courts from forcing Ali back to Uzbekistan. 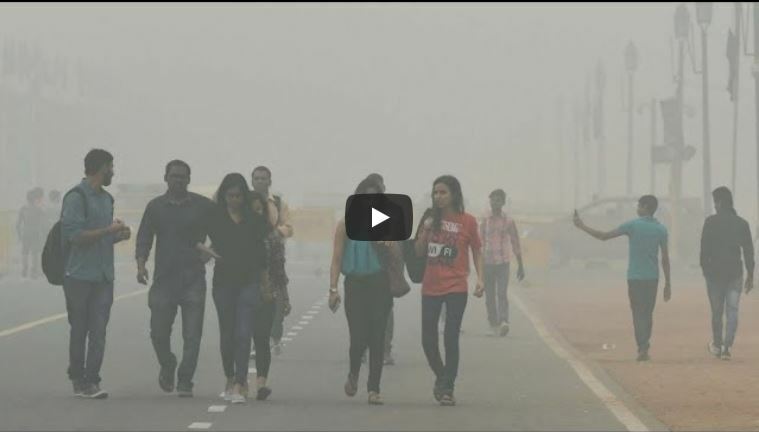 India's Capital of Delhi has the World's Worst Air Pollution - Why? The Real News Network 26 December2016 Fossil fuels, especially coal, is the main culprit, but despite the public health emergency, the government is not acting on this issue, says Shouvik Chakraborty, research fellow at PERI On November 8th, the Indian capital city of Delhi gained the dubious distinction of becoming the most polluted city on the planet. The air quality is now so bad that it's equivalent to smoking 50 cigarettes a day. So how did Delhi and India become so polluted, and what can be done about this severe public health problem? Joining us to discuss this is Shouvik Chakraborty. Shouvik is currently a research fellow at the Political Economy Research Institute, UMass Amherst. He received his PhD from the Center for Economic Studies and Planning at JNU in New Delhi. He's published a variety of progressive economic articles, especially in the areas of development banking, international trade, food security, and energy and the environment. Shouvik's current research focus is on the generation of jobs through investment in clean, renewable energy and developing an egalitarian green growth program. 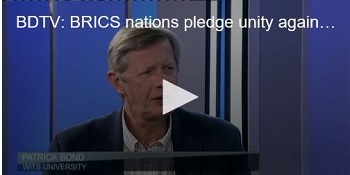 On Thursday different formations calling themselves "Break the BRICS Coalition" will be marching to the Sandton Convention Centre where the 10th BRICS Summit is currently underway. The march is a protest against what the coalition calls the capitalist nature of the BRICS states, their anti-working class behaviour, and their environmentally destructive policies. 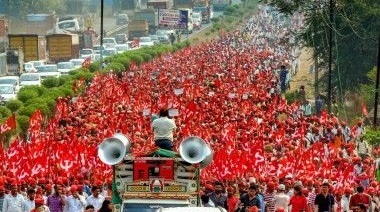 Its intention is to put forward their demands for world to see. 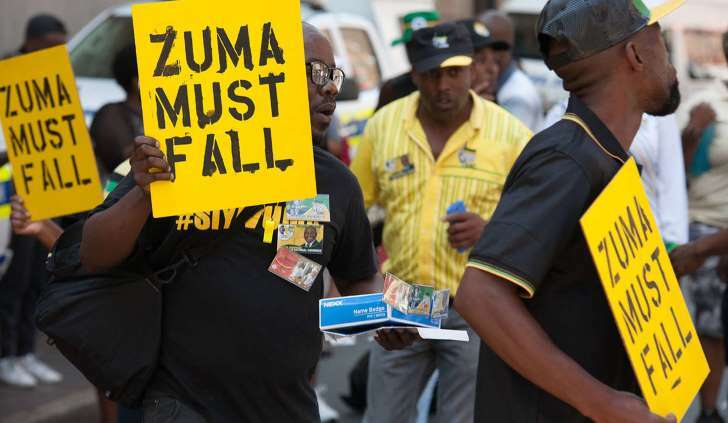 As heads of states signed agreements and talked multilateralism inside the BRICS summit...Outside, hundreds of civil society members protested in the vicinity of the summit. The Break The BRICS coalition delivered a memorandum demanding the arrest of some leaders who are attending the summit today. And they are demanding a response before the summit wraps up tomorrow. 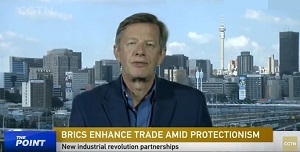 Leaders from the BRICS bloc - Brazil, Russia, India, China and South Africa - are meeting for the first time since the Trump administration in the US said it was ready to impose tariffs on all Chinese imports, a move economists say could also hurt smaller countries like South Africa. 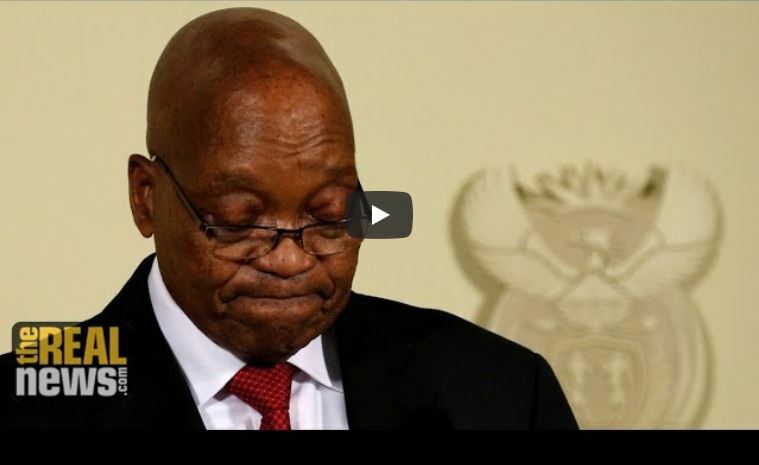 "A trade war should be rejected because there will be no winner," Chinese President Xi Jinping said at the opening of the 10th BRICS summit of emerging economies in South Africa's main city, Johannesburg. President Xi is urging the leaders of developing economies to work together, in the face of threats of tariffs by US President Donald Trump. We network activists and scholars in Brazil, Russia, India, China, and South Africa addressing inequity that impacts people. Images for "brics from below"
More images for "brics from below"
The latest Tweets from BRICS from below (@BricsFromBelow). Centre for Civil Society • University of Kwa Zulu Natal • Developing Progressive Global Alliances with a focus on Brazil, Russia, India, China, and South Africa. Durban, South Africa. The parallel meeting, BRICS from Below, was hosted by environmental group groundWork, the South Durban Community Environmental Alliance and the UKZN Centre for Civil Society.